Welcome to the Chicago Postcard Museum. You are about to enter a fascinating exhibition of rare, antique, vintage, contemporary and novelty Chicago postcards. There is approximately 15% of the Museum's postcard collection currently online. Send us a postcard of your city, town or favorite place and see it online. If you enjoy this type of Chicago history, you'll love the history presented in the Living History of Illinois and Chicago® group. There are plenty of antique and vintage photographs and loads of history presented by over 34,000 members, and it's free to join. 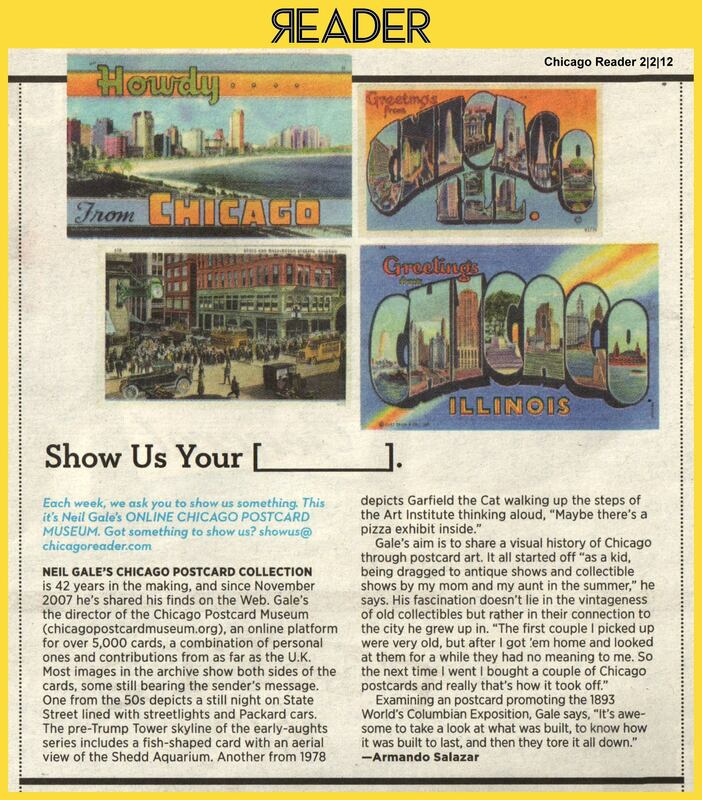 Article: The Chicago Reader - Show us your [...] Postcard Museum. Don't miss the Museum's awesome Joseph Koehler, Chicago Hold to Light, postcard collection. 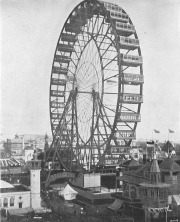 1893 World's Fair: Illustrated Photography presented in widescreen. WBEZ 91.5 FM, Chicago Public Radio, Eight Forty-Eight Show presents: Passion for Postcards Goes Digital. Listen Now. WLUW 88.7 FM, Outside the Loop Radio. Listen Now. 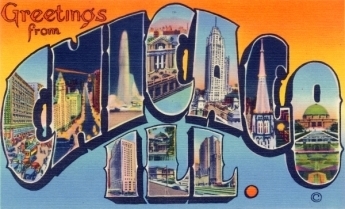 © 2007-2019 ChicagoPostcardMuseum.org. All rights reserved.